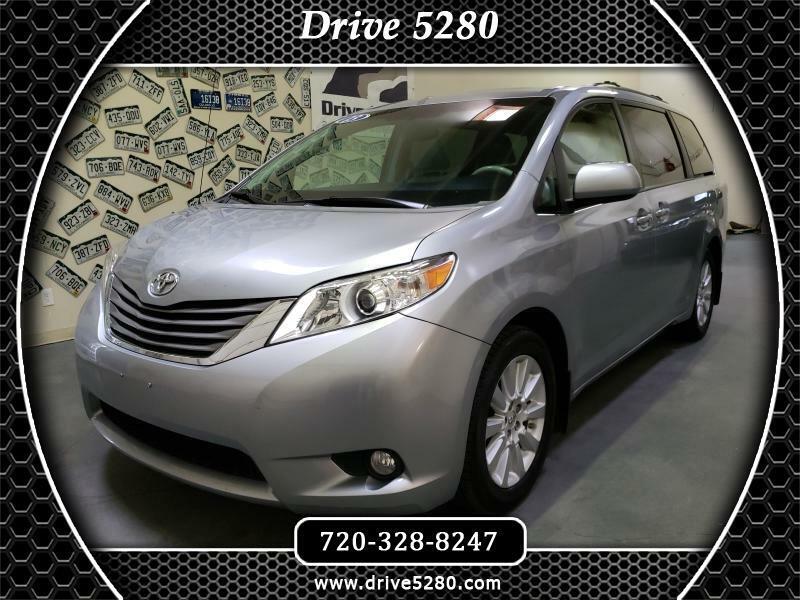 Beautiful 2013 Sienna Limited w/AWD V6 Power with all the comforts you desire. Leather seating front to back, Premium sound with AM/FM CD and the ability to stream all your music. Rear DVD player with dual headphones, plus so much more. It also comes with the Drive 5280 exclusive 5-month, 5,280 mile warranty at no charge. Visit Drive 5280 online at www.drive5280.com to see more pictures of this vehicle or call us at 720-328-8247 today to schedule your test drive.